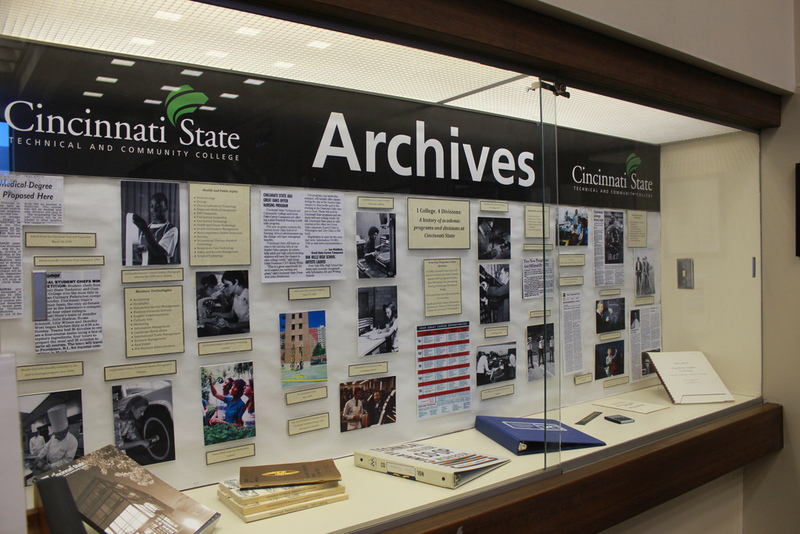 The Cincinnati State Archives maintains historical exhibits online and on campus. These exhibits focus on the history of specific areas of the College, and bring to life the people and events instrumental in shaping Cincinnati State into what it is today. Physical exhibits are located in the Johnnie Mae Berry library, in the glass display cases to the left of the main entrance. Online exhibits are accessible here! See below for a complete list of online exhibits. If you have questions or information about an exhibit, or ideas for future exhibits, we would love to hear from you. Contact the College Archives at (513) 569-4688.